Recover a Forgotten Apple ID: Mant of the Apple users are forgotten their Apple ID and suffering to use the Apple devices. 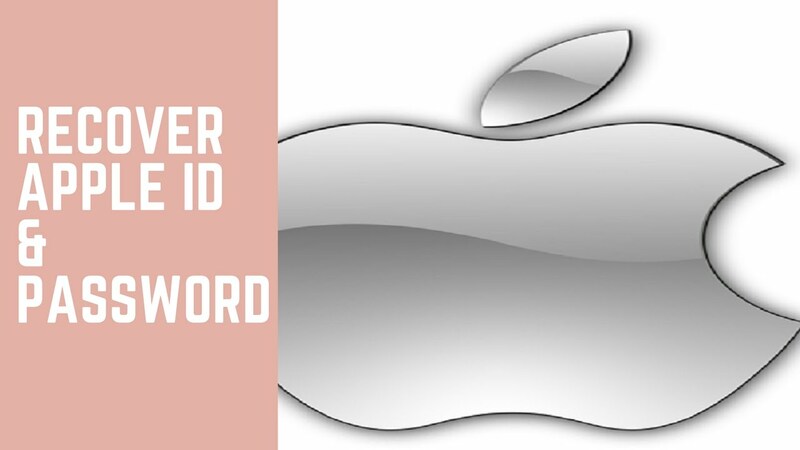 So, Here I have listed the best steps for the users to Recover a Forgotten Apple ID and Password. iOS users must have to enter their Apple ID and password details so frequently for buying an application or iTunes music or accessing iCloud email or any other services. But many of the people have forgotten their Apple ID and password. Apple and ID and passwords are very complicated to remember. In this article, you will be able to find the solution for recovering the Apple ID as well as password. Some of the Apple ID and passwords do not work because it has locked by Apple for some security issues. If you are one of the people who have forgotten their Apple ID and password of an Apple account, then you will do??? The Apple offers many different ways to Recover a Forgotten Apple ID and Password, and you can easily start the recovery process in iPhone, iPod, iPad, Mac, Windows PC, etc. Many people are looking recover their Apple ID and password. The different processes have been described below to recover or reset the forgotten Apple ID and Password. This process is very helpful for the people who are setting up a new device or switching a device to a credit card free or changing the Apple ID which has associated with the device, you cannot remember the login credentials or if you have not updated the change username and password with the Apple device. All the Apple users know that the users can always directly contact the Apple support for anything. If you want to regain the account access through the official channels, then it may be the best option for the users who have confused or overwhelmed. With the help of the Apple ID account, you will be able to do everything in the Apple device like you can shop the iTunes store, you can buy an application, sign in to iCloud, and much more. If you want to Recover a Forgotten Apple ID and Password, then go through the below steps. To recover an Apple ID Password, you must have the Apple ID. Without unlocking the Apple device, you cannot do anything. So people who have lost their Apple ID password, then recover it by following the below steps. Now, you have to enter the email address which you have used with your Apple ID and then hit the continue option. And, you must have to enter the text to prove you are not a robot. (If you are not able to read the text, you can just keep clicking until you can). The next step will be for your security you have setup for your Apple account. If you have not set up any extra levels of security, then it will be a case of getting an email answering some security questions. When you are using a new iPhone, iPad, Mac or While creating an Apple ID it will ask you to enter the answer to some security questions. If you have forgotten the security answers, then you can follow the below steps. First, you have to start this process by entering your password. Then the Apple will ask you enter the answers to two question. Then you will be moved on to the Reset password page. Now, you have to enter the new password two times. And the password must contain eight characters and then confirm it.